Monomoy Bird Observatory was founded in 2011 and recently reopened in fall 2017 as a fall migration songbird banding station located at the lighthouse on Monomoy National Wildlife Refuge. Along with banding migratory passerines, we have expanded this operation to include a daily census of diverse groups of migrating seabirds, shorebird and ducks flying through this unique habitat. In 2014, we relaunched the banding station at Wellfleet Bay Wildlife Sanctuary. The first bird banding station on the property was established in 1929 by the Austins, famed family of ornithologists who introduced mist-netting to America at the turn of the century. We continue this rich tradition with spring and fall migration monitoring, with a focus on outreach to school groups and the general public. Our goal is to better understand and protect the birds living on and passing through Cape Cod, share in their lives with the public, all while proudly participating in the rich history and vibrant future of ornithological research in the area. Learn more about our projects! Find out more about banding and our work at Monomoy Wildlife Refuge and Wellfleet Bay Wildlife Sanctuary. 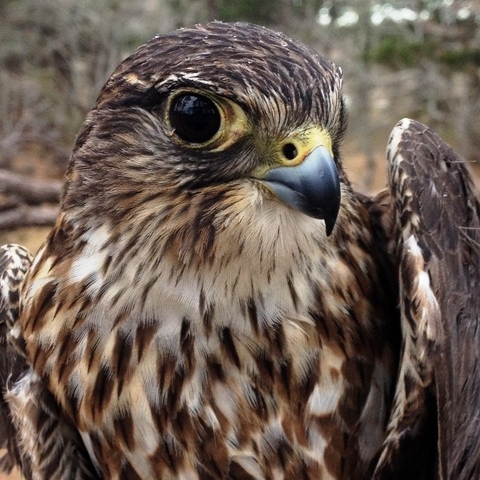 Check out the wonderful birds of so many species banded at Monomoy and Wellfleet. Can you identify them all? Get involved as a volunteer or find more ways to support our research efforts on the Cape and elsewhere.